Things haven't changed since I was in grammar school; the last days are all play and no work! Perfect chance to share my unicycle, Blanche, with my fourth-grade class. Promising I would bring her to school and ride before year-end, I thought today, Field Day, the best choice to cruise the campus. Field Day is packed with crazy zoo-like commotion, so what’s another pound on an elephant? Remember my stage fright problem? The public-unicycle-riding therapy and miles of practice were leading up to a moment like this, where two-hundred kids would be watching. See, I did not want to fall, at least not alot. Cruising around the neighborhood has helped take away my nervousness… well, at least lessen it. I admit I prayed before rolling Blanche from my desk to the parking lot. I hopped on. Away we rolled. It went great, I did not fall and the kids loved it! I rode all over campus and through the gym. Most children had never seen a unicycle, let alone one in motion. It felt wonderful to share my circus talent and see the little people light up, ask questions and stare like I had three heads. What joy! 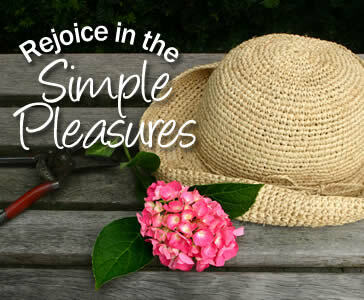 It is true that simple pleasures are life’s treasures! Oh my word. I wish I could have been a fly on the wall (Bill Frers). What a delightful sight it would have been to see you performing for all your students! What did your own boys think seeing Mom show her talent? By the way...you ARE wearing a helmet when you ride aren't you? Ride on Rose and Blanche! Seriously, how fun. I worked at the boys' preschool for their last day. It was every-man/woman/child-for-him/herself. Crazy. And we still have graduation ceremonies. Tomorrow should be our own circus. BTW, loved that the Facebook Farmer (my dad) and family saw you unicyling around town over Memorial Day. You are a real life urban legend!